‘Tis the season for gatherings, to be merry, to exchange gifts, and to remember what’s truly important in life. At RODA marketing, we are humbly and gratefully reminded of how fortunate we are – to have such great clients, partners, and our own incredible team. We are passionate about adding value to our clients through strategies we personally implement for them, and sharing our knowledge and professional tips through our blogs and social media posts. This holiday season, in the spirit of giving, we’d like to “give away” value by sharing some of our favorite resources for FREE online images. 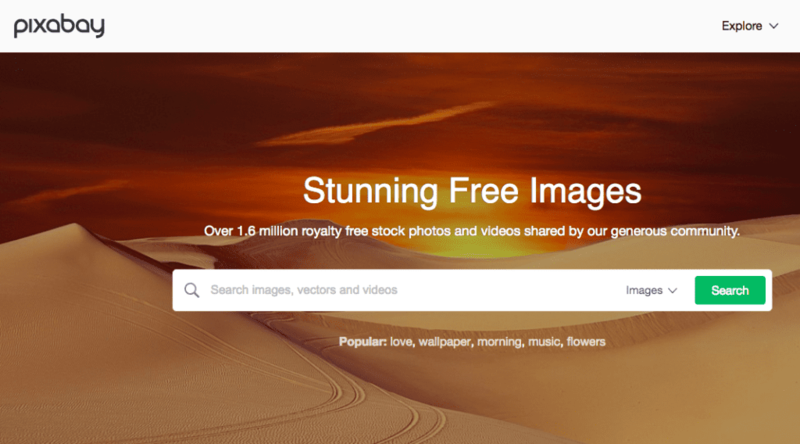 Pixabay’s site is clean, intuitive, and easy to navigate, with over 780K free quality photos, vectors, and illustrations. Its main search bar allows you to filter your request by media type, orientation, color, and minimum dimensions. This site adds new free stock photos every week to their continuously growing collection. It’s easy to filter through the gallery of photos, sortable by category, copy space position, and color; photos are shared without copyright restrictions, and you’re free to use them however you please. From amazing architecture to beautiful nature, Libreshot offers a collection of photos for commercial use that may be the most unique you can find for free. All you have to do is search, download and use, with no required attribution. With new photos added daily, Picjumbo has a wide selection of free, high-quality images to fit a variety of different topics. We hope you enjoy having these free sites at your fingertips – a gift that keeps on giving, eliminating the worry and extra time spent on searching for safe images! While you can find dozens of articles praising Shutterstock and other stock photo websites like Getty Images, beware of using their images without permission/credit – because they are not free and if they ever catch you, they will come after you! Use the free images from one of the recommended sites in your social media, newsletters, blog posts, etc. whenever and wherever you want! Wishing everyone Happy Holidays and a Joyful, Peaceful, and Success Filled New Year! We invite you to check out our portfolio and learn more about RODA marketing and our digital marketing Lancaster PA and nationwide solutions delivered with quality, experience, and passion.